I think we often romanticise travel, we spend hours researching places that we want to go, and getting caught up in the idea that the love of our life may not be close to home, but may be in a foreign country somewhere waiting for us to stumble across them at midnight by complete chance in a city where no-body knows our name. This is not always the case, travel should not be over-romanticised because although it is no doubt an incredibly rewarding experience, it always comes with the less glamorous aspects – missed planes, long exhausting stop-overs, food poisoning, getting hopelessly lost, airlines losing baggage, queues, tourist traps. Then again, the best conversation starter is without a doubt ‘where have to you travelled to?’ and i have found that as soon as I have a place in common with someone, we are able to compare experiences and I find myself drawn in to the conversation and become fully engaged. Hearing other people’s travel experiences also helps us to more deeply reflect and draw on ours, we collate experiences in our heads to get a sense of place, a sense of collective conscious of experience which unifies us with other travellers. It is human nature to share our stories, and by travelling and stepping outside of our comfort zones and venturing away from home into the unknown we are able to collect stories which are truly valuable – these stories are priceless in value, free to share around have the capacity to help us form deeper connections with those around us, whether they be old friends, or new ones we found somewhere along the road. Oh dear that sounds really bad, what was wrong with them? Like had they had they partied too hard (completely understandable in prague due to the strength of the beer let alone the absinth! The absinth in prague is insane, the last time I was there I had only a couple of shots and could have sworn there was a gigantic crow following me everywhere, scary stuff) or was it just like general illness?? The best stories from travel are often the worst times! Like I have had several near death experiences overseas, but they are the best stories to tell others haha. So true, the stories we get from our travels are often the best part. 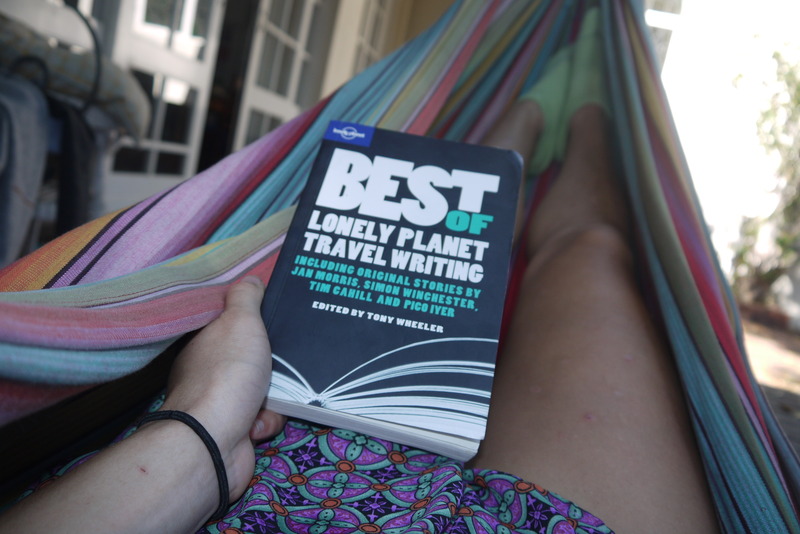 And of course reading travel writing when I can’t actually travel is an acceptable substitute. Yeah travel writing serves as a good substitute. You can sustain your travelling spirit from a few decent travel stories for quite a while. I am learning to be better at that while I focus on more dreary things like my degree and career!